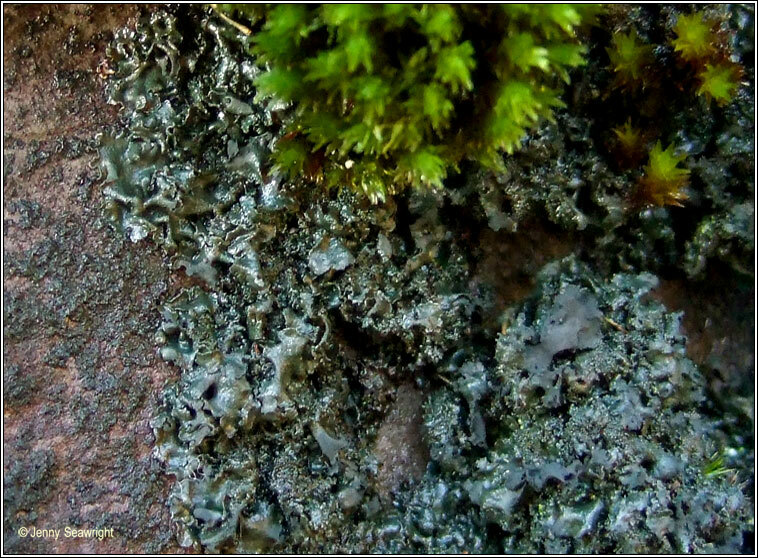 Rosette-forming black or dark olive-green thallus, tightly adpressed to the substrate. The membrane-like lobes are rounded or irregular, +/- deeply lobate. Numerous terete or coralloid isidia can form +/- continuous areolate crust on older lobes. 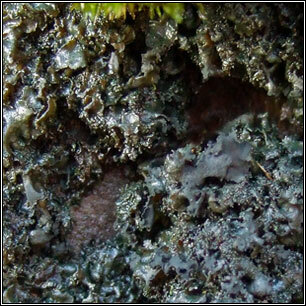 Apothecia are unknown. 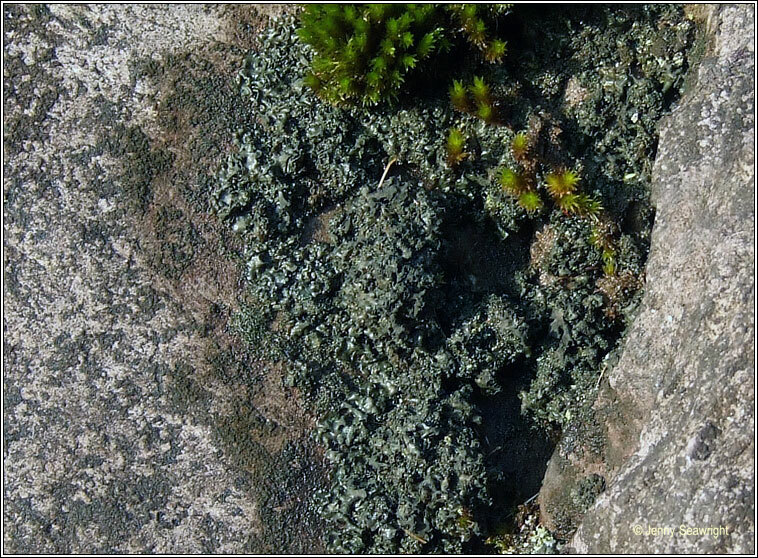 Occurs on +/- basic, periodically inundated rocks by upland rivers, lough margins and in seepage tracks. Very local distribution, S and W Ireland. Chemical reactions negative.